Will Cupping Therapy Help Relieve Your Pain? Cupping therapy has been around for thousands of years as a form of alternative medicine popular in Egyptian, Chinese and Middle Eastern cultures. It recently gained attention following the 2016 Olympics when multiple athletes were seen with circular bruises all over their bodies. This had many people scratching their heads and wondering what cupping was all about. 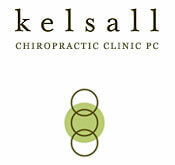 Kelsall Chiropractic Clinic has recently added cupping therapy to our list of services to help get you out of pain. Continue reading to learn more about how it works and see if cupping is right for you! Cupping therapy works by suctioning the skin upwards away from the muscular tissue and can either be left stationary on the skin or moved across multiple areas with the use of lotion or other type of emollient. The aim of this technique is to promote blood flow to injured or fatigued muscles to accelerate the natural healing process of the body. This increase in blood flow to the cupped area creates what many people identify as a bruise, but in reality is more like a hickey. Some studies suggest that cupping therapy plays a role in pain management as well, however the exact mechanism warrants further investigation and research. A likely scenario is that cupping therapy affects the superficial cutaneous nerves in the skin and disrupts the pain signals going to the brain, similar to when you bump your elbow and reactively start rubbing it to decrease the pain. There are several different styles of cupping therapies including “wet cupping” and “dry cupping” which can be done using cups made of different materials such as glass, bamboo or silicone. Wet cupping involves creating a small puncture in the surface of the skin and applying a cup over it to suction blood out which is believed to remove toxins from the body. At Kelsall Chiropractic Clinic, we use the less invasive dry cupping method using silicone cups where one or more cups is applied to the skin and either left stationary or slid around the skin to promote healing and decrease pain. Cupping therapy is a great alternative to other soft tissue and manual therapies offered at our clinic. See what cupping can do for you and schedule an appointment with Dr. Caroon or Dr. Kelsall either online or call at 503-223-8719.